The service's closure puts a number of online games from as recently as 2010 at risk. Multiplayer games are generally seamless enough these days that most players tend not to think about who is providing servers that allow for online play. One of the biggest providers of online servers for multiplayer games from as recently as 2010 was GameSpy, whose original incarnation as an Internet-based Quake server search program named "QSpy" launched back in 1996. Over time, the outfit expanded to also become an editorial outlet covering popular games consoles from today and yesteryear, but remained a key player in the administration and operation of a variety of online game services -- not just on PC, but also on PlayStation 2, PlayStation 3, PSP, Nintendo DS and Wii. To date, the list of supported games that make use of GameSpy's features is considerable, encompassing several hundred titles in total across a range of platforms, many of which are still relevant today. GameSpy the editorial site -- which eventually became part of IGN -- announced that it was shutting down in February of last year, though at the time of writing its archives are still up and running. Meanwhile, free-to-play mobile game operator Glu Mobile purchased GameSpy Technologies, the side of the business that handled GameSpy's multiplayer services, in August of 2012 and promptly incited the ire of several dedicated, longstanding multiplayer communities by, without warning, shutting down a number of servers for older but still popular games such as Neverwinter Nights and Microsoft Flight Simulator X.
Bohemia Interactive's Arma 2 -- the game that gave us DayZ -- is one of the titles likely to be affected by GameSpy's closure. Now, Glu has announced that on May 31 of this year, GameSpy Technologies as a whole will be shut down completely. In total, somewhere in the region of 800 games are expected to be affected, including titles that are still played online today such as Bohemia Interactive's Arma series, Rockstar's Red Dead Redemption on Xbox 360 and PS3 and a significant number of Nintendo's online games on both Wii and DS. Speaking with GameInformer, Capcom said that it was looking into "migration solutions" for its online titles that were dependent on GameSpy servers, while Dungeon Defenders developer Trendy Entertainment said that the PlayStation 3 and non-Steam PC versions of its game would no longer be playable online after the service ceased to be. 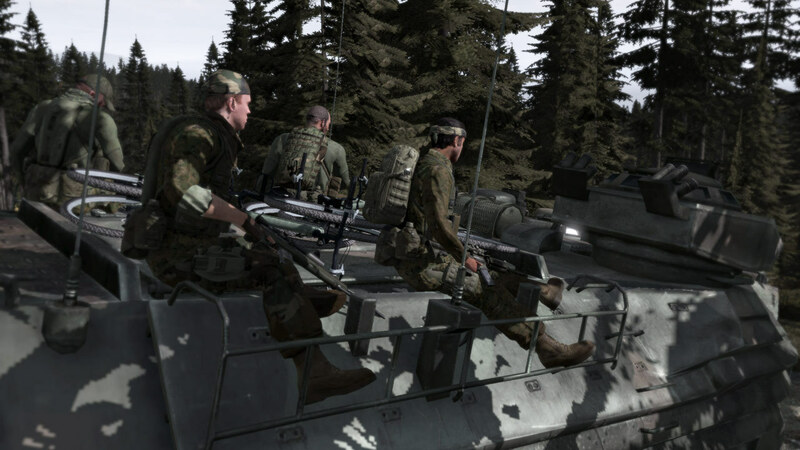 Meanwhile, Arma developer Bohemia Interactive explained to fans that a number of its titles would be impacted by the change, but that more recent titles in particular would be patched in order to make them no longer dependent on GameSpy. Older, less-supported titles, meanwhile, will have more limited functionality and will require direct IP connection to third-party servers due to the absence of GameSpy's server browser and matchmaking solutions. Glu Mobile's original acquisition of GameSpy technology was claimed by the company to be an attempt to "expand connected, cross-platform mobile leadership" and develop titles with "robust, highly scalable multiplayer and social functionality." The service was subsequently integrated into a number of the company's real-time multiplayer mobile games such as Gun Bros. Check out the full list of GameSpy-dependent titles here, and be sure to check with the games' developers and publishers to see if they are putting an alternative solution in place for after the service shuts down. Tagged with DS Handhelds,	gamespy,	News,	Nintendo,	PC,	Wii Consoles.